There seems to be an obsession lately with goo. Now there’s absolutely nothing wrong with things getting sticky as Splatoon has so effectively proven. So why don’t we move this concept into the platform genre? This is exactly what’s happening with Splasher, an offering from Playdius and the Splashteam. 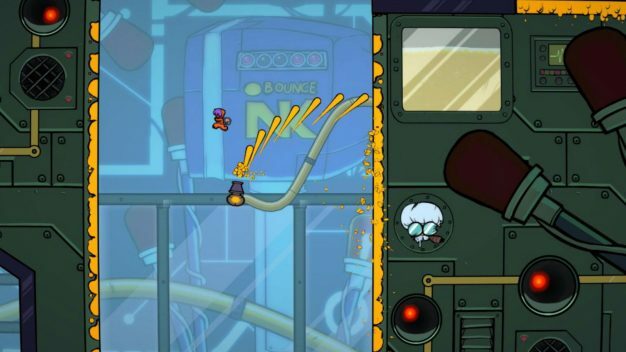 Splasher is a arcade/action romp set in a wacky cartoon universe. Arm yourself with your splatter cannon and launch an all out assault on a paint factory. In this quest you’ll need to save the factory’s workers called Splashers from the grip of the evil boss Le Docteur. The action plays out across 22 fun filled levels and as you progress, the splatter cannon will grant you different colours of paint and an increasing number of gameplay abilities such as sticking to walls, bouncing high into the air or even throwing your less than intelligent foes into their own traps. This is a game that lends itself to time attacks and speed runs. Those of you looking for perfection will have to learn from your mistakes and find the best paths through the many levels of the gigantic factory. Then you can post your best times on line and share your scores on the leader boards. 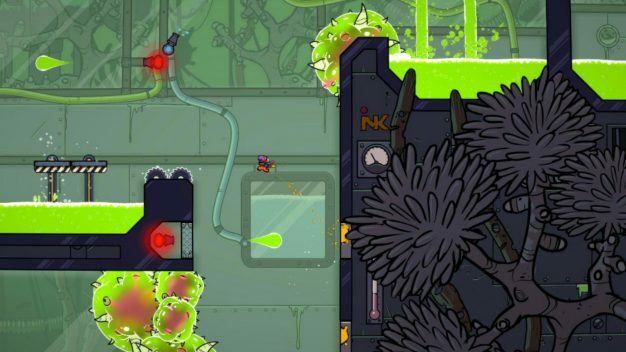 Splasher is now available on PS4, Xbox One and of course PC and Mac. A Switch port is in the works but it’s not quite here yet. Nintendo fans will need to watch this space for more news on a future release. If you think you might want to give things a new lick of paint why not head over to your respective stores and add Splasher to your own collection?